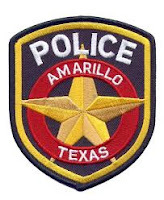 Early Monday afternoon, Amarillo police officers were dispatched to an accident involving an APD motorcycle officer at South Western and Hollywood. The officer, riding a 2016 Harley Davidson, was stopped at a stop sign on the westbound frontage road. A 2000 Pontiac Sunfire, driven by a 33 year old female, was northbound on S. Western Street. Investigators said the officer pulled away from the stop sign and was struck by the vehicle. The officer was transported to a local hospital with non-life threatening injuries. He was wearing a helmet at the time of the accident. The driver of the Sunfire and the 36 year old passenger were uninjured. This accident is being investigated by the Amarillo Police Department Traffic Investigation Unit.